iOS 8 is almost here for your iPhone and your iPad. A shiny new operating system is fun, but you probably have some questions. Here are the answers you need. Should I upgrade to iOS 8? If your device can support it then yes! iOS 8 brings a whole bunch of new features like a health-tracking app, new camera features like timelapse photography, Wi-Fi calling, and the ability to send texts right from your Mac. It's not a total visual reimagining like iOS 7, but it's still a big step forward with a bunch of new features. If you've got an iPhone 4S, an iPad 2, or a first-gen iPad Mini though, you should consider staying behind. 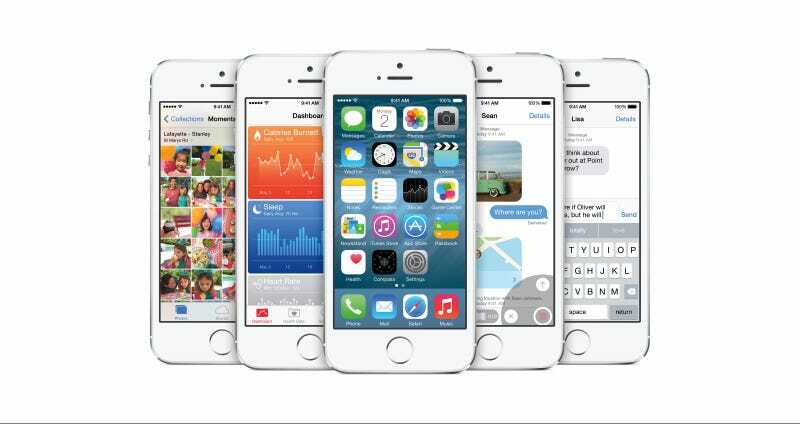 These are the oldest devices eligible to upgrade to iOS 8, and they could get sluggish. The iPhone 4s, for example, runs up to 50 percent slower at certain tasks, and the older iPads are unlikely to fair much better. It's possible that will improve with further iOS 8 updates! But for now you probably want to wait. Since it's pretty hard (if not impossible) to go back to iOS 7 once you've committed, think hard about whether the iOS 8 features are worth the performance tradeoffs for you. Will my iPhone or iPad get all the cool new features? You'll get most of them, so long as your device is eligible for the upgrade. iPhone 4 owners, folks who still rock a first-gen iPad, and people with anything less than the newest iPod Touch won't be able to get iOS 8 at all. People with second and third generation iPads or an iPhone 4S will get iOS 8, but not the "Continuity" feature, because that requires AirDrop, which these devices can't handle. And of course, anything without Touch ID won't benefit from iOS 8's Touch ID tweaks, and only people who are getting a shiny new iPhone 6 or iPhone 6 Plus will be able to purchase things using NFC-enabled Apple Pay. What do I need to know before I upgrade? Before you do anything you should back up your phone or tablet. It's smart to back up your phone or tablet on a regular basis anyway, but chances are you don't, and now is the perfect time. Everything should go fine, but you can never be too careful. Also clear up some storage space. The iOS 8 upgrade needs approximately 5GB(!) to install itself. So if you don't have a lot of storage or just have it all filled up with stuff, you're going to have to make some room before you start the download. Also if you are jailbroken, beware! Going to iOS 8 will nuke your jailbreak, and considering that it's getting harder and harder to jailbreak every subsequent version of iOS, there's no telling if you'll be able to get it back. OK now I'm ready! How do I upgrade? It's super easy. Just download the upgrade right now, as described here. Where's the cool new stuff? All over the place! iOS 8 isn't the insane overhaul that iOS 7 was, but it still has big, handy features like that Health App and support for third party keyboards. Some more really great stuff is buried a little deeper. And if you're new to iOS, or can't find a feature that may have moved, iOS 8 has an app to get you caught up. Start tracking your health, go try out a few functional and fun third-party keyboards, explore a few of iOS 8's handy little interface tweaks, and just enjoy your refreshed phone! Just remember that there will likely be little bugs here and there that'll get ironed out with subsequent updates, so don't freak out if things aren't perfectly smooth at first.